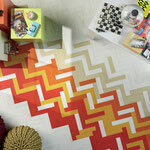 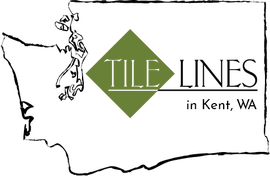 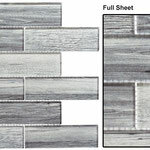 Tile is a great way to fuse diverse elements together to create new and exciting designs. 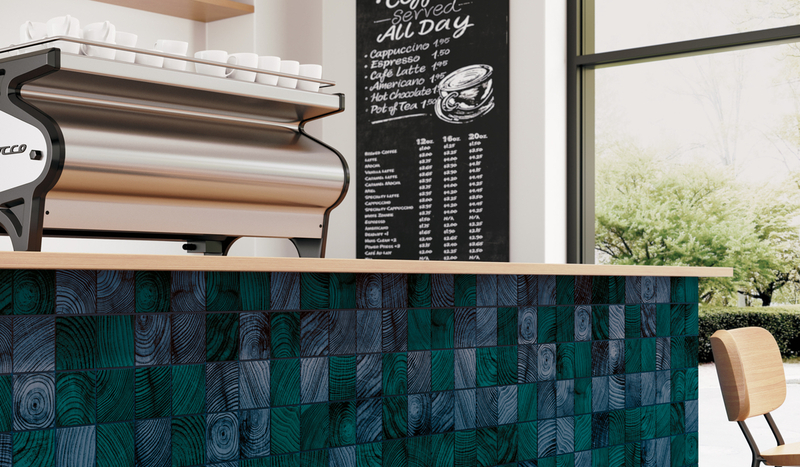 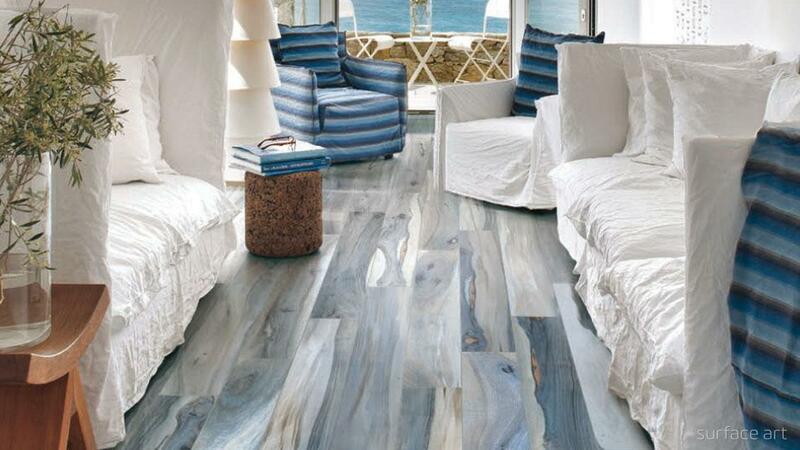 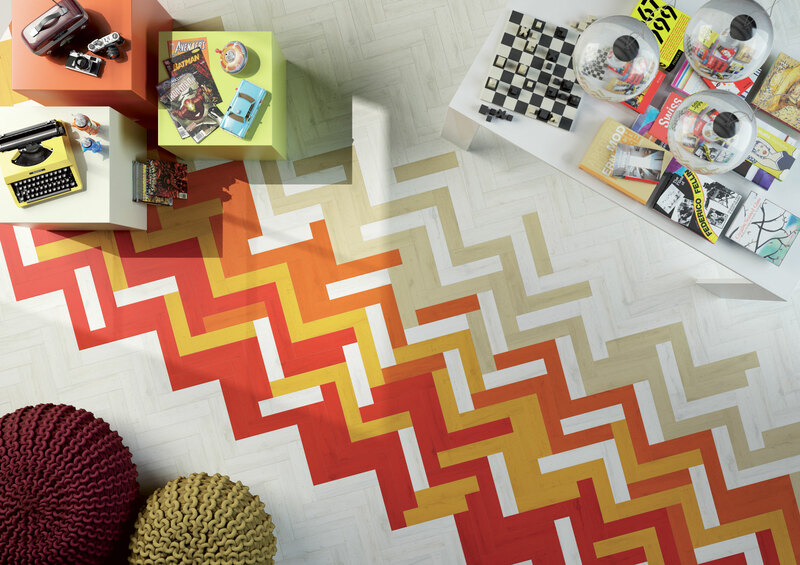 The durability of porcelain tile or the luminosity of glass combined with the patterning and texture of wood grain and vibrant colors creates a wholly unique look that's bound to impress. 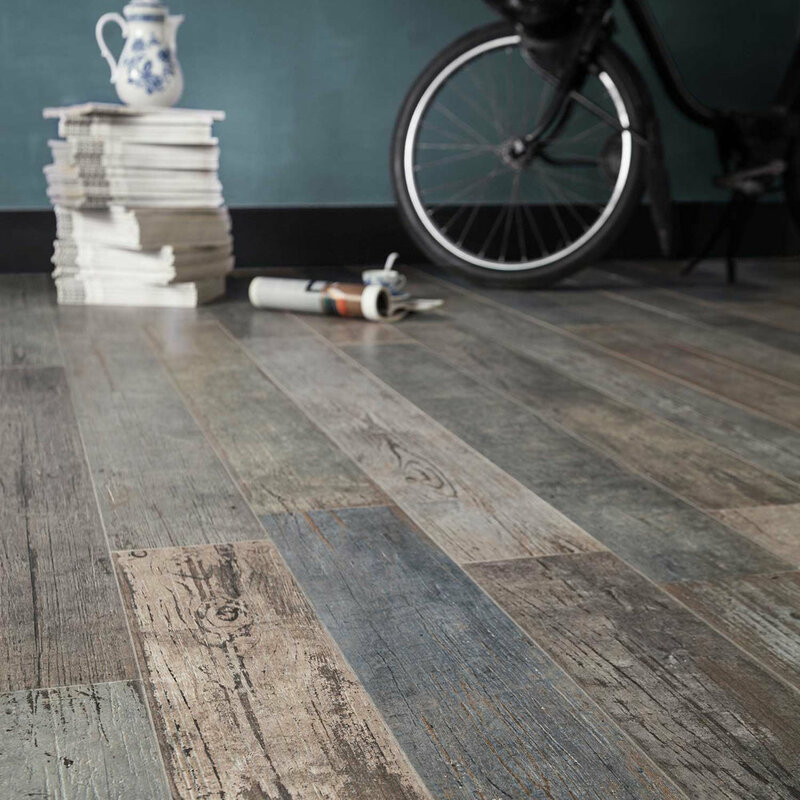 These planks come in dozens of colors and smaller plank sizes for energetic color blends and pattern opportunities. 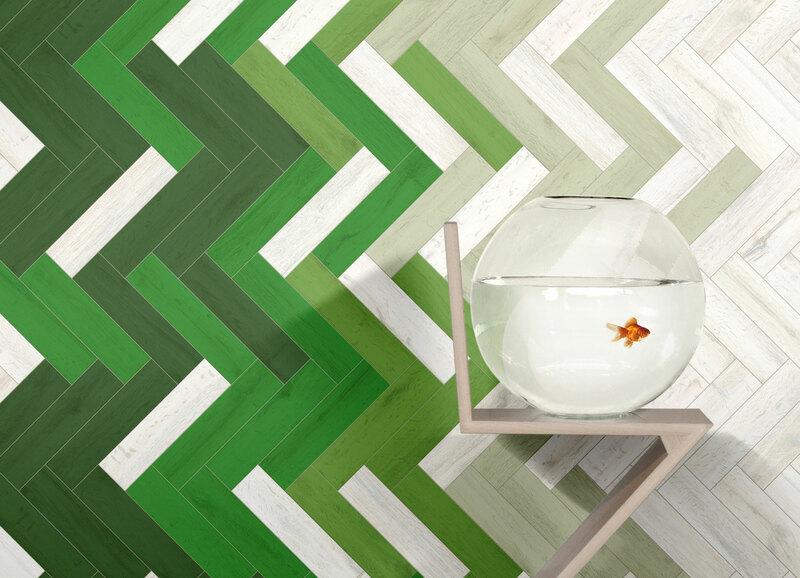 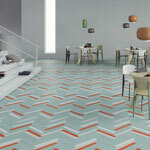 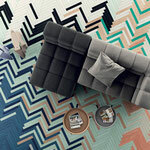 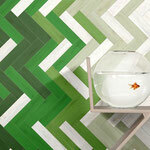 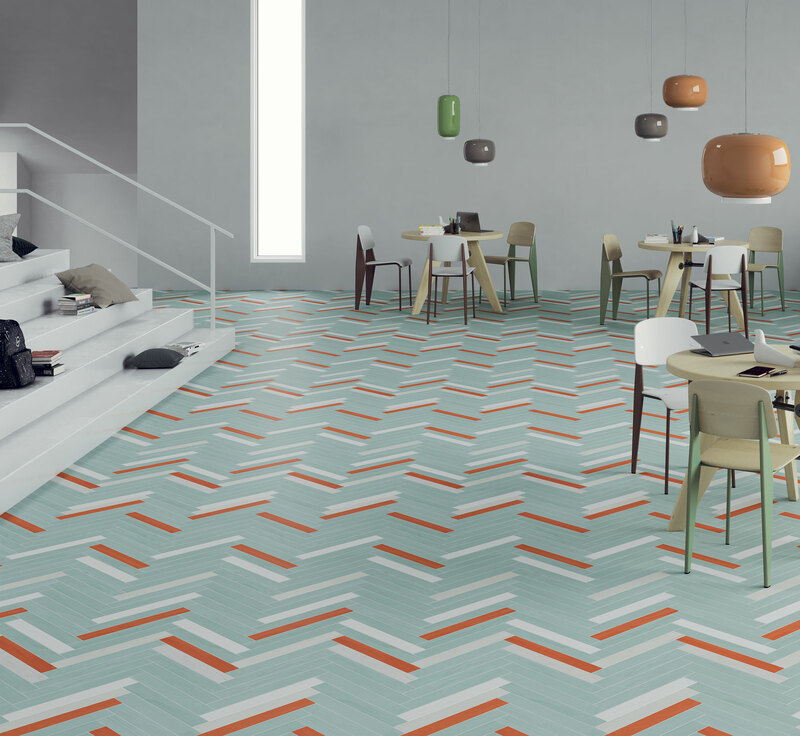 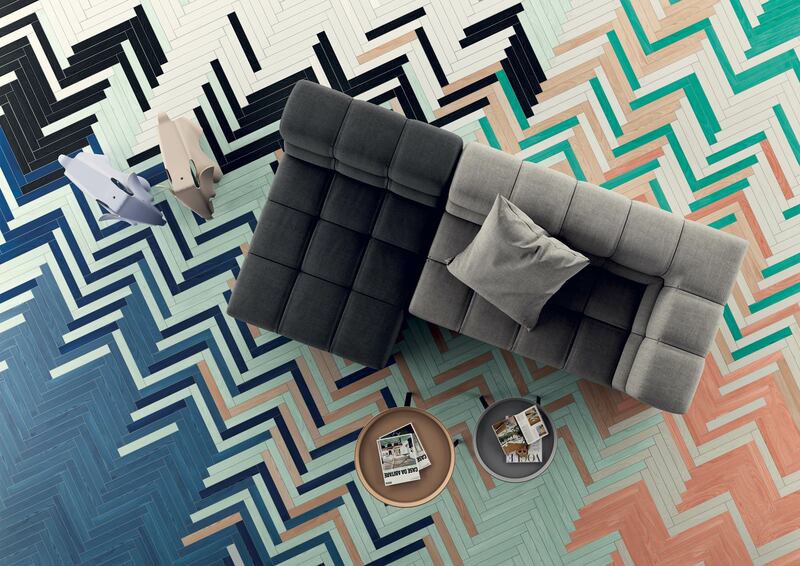 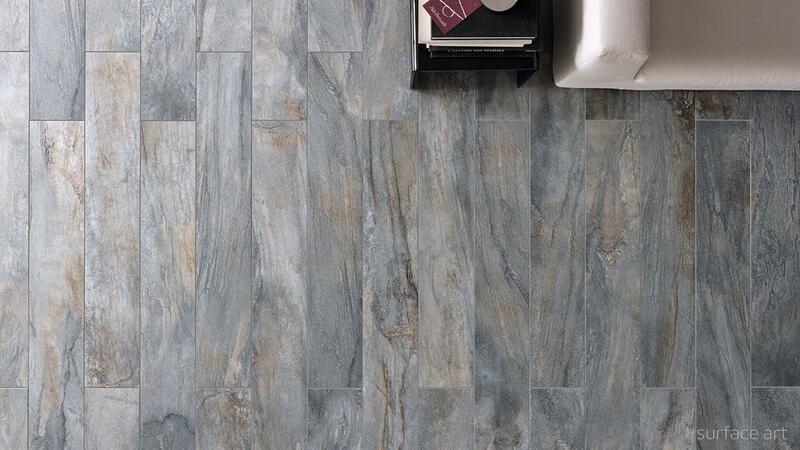 The herringbone pattern is a dynamic and timeless way to create movement and drama with these durable porcelain tiles. 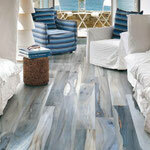 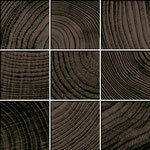 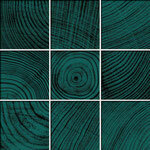 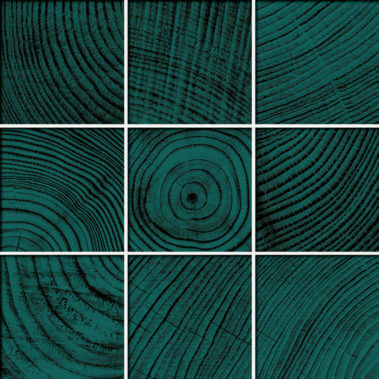 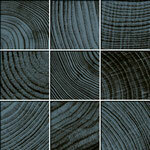 This line of luscious glass tiles capture the look of tree rings in decadent jewel tones. 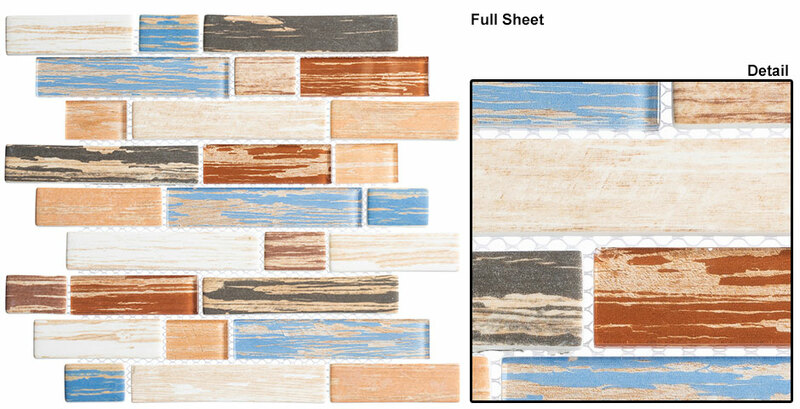 Blend multiple colors for added depth or stick with one for a strong feature wall. 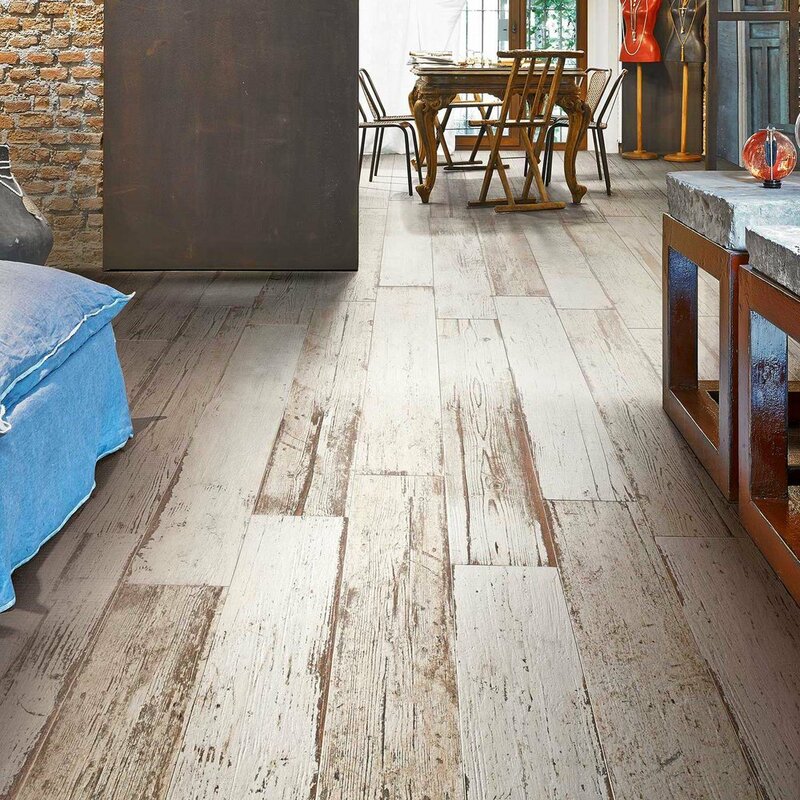 This porcelain tiles capture the look of exotic wood species without the high price tag, high maintenance, or high environmental cost. 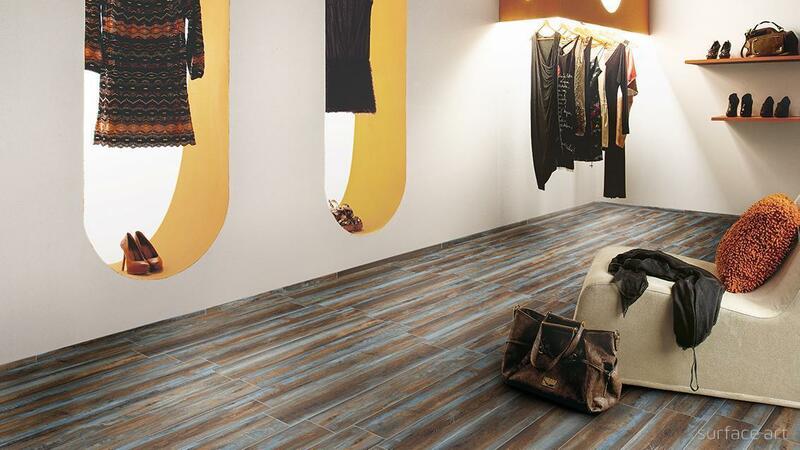 With impressive print quality and rich color, your guests won't know it's not the real thing! 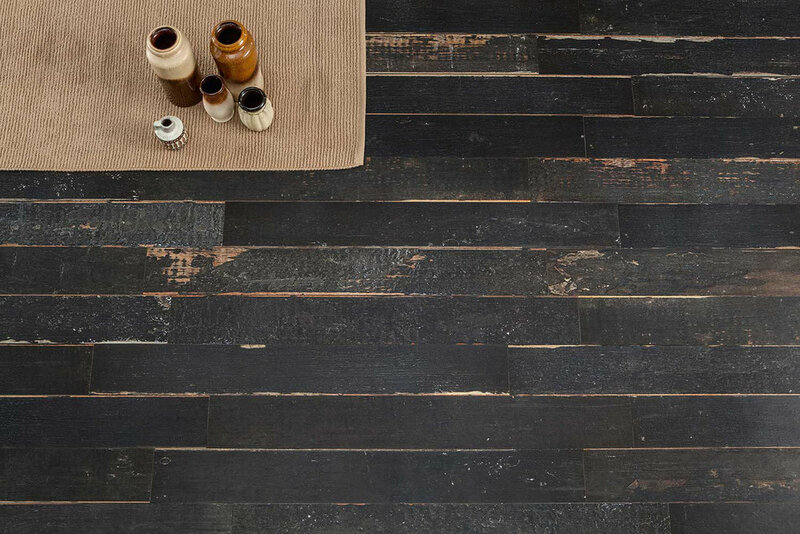 The reclaimed wood look is a hot trend among Pinterest boards and HGTV designers, and porcelain tiles take that look and make it extra durable. 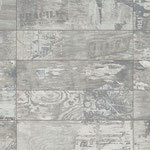 Some lines integrate prints of old signage and graffiti to look like you've transplanted a poster-riddled New York fence into your home. 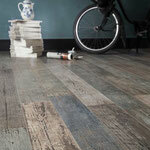 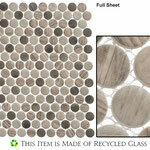 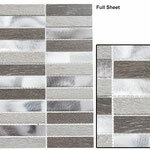 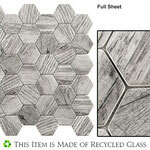 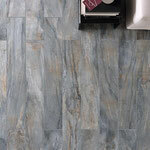 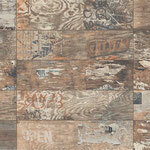 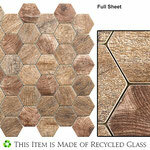 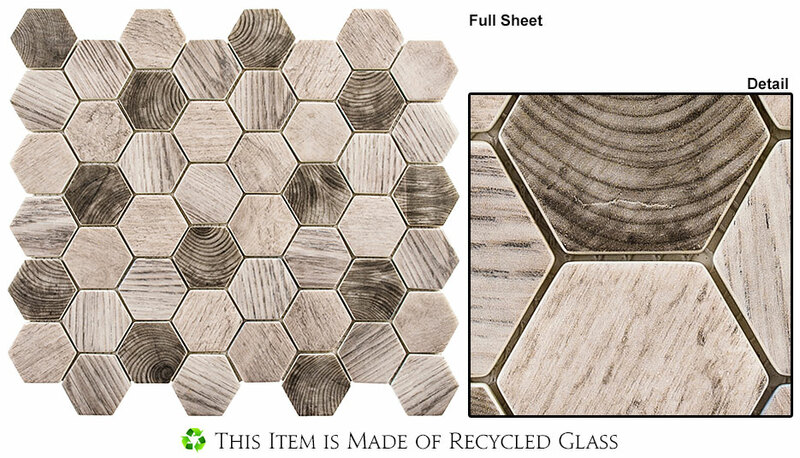 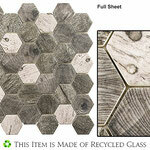 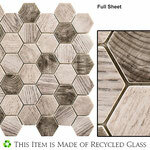 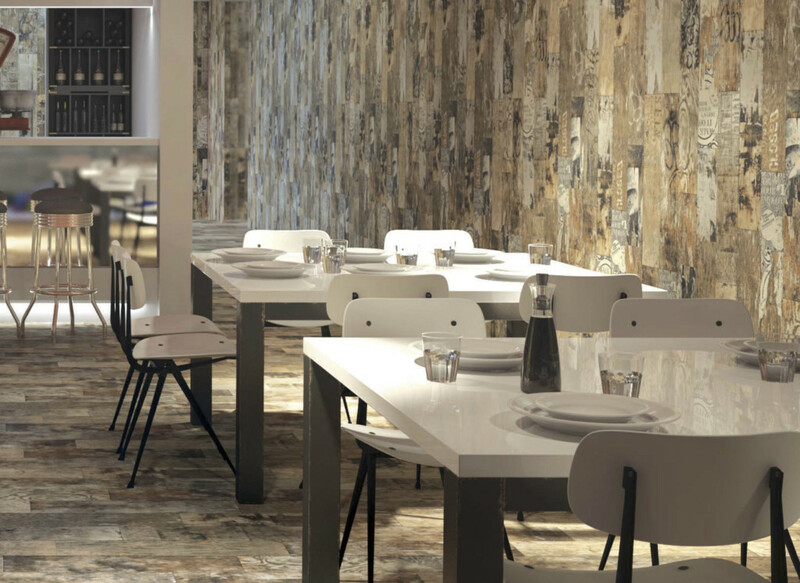 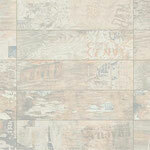 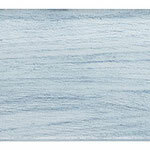 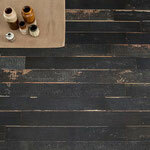 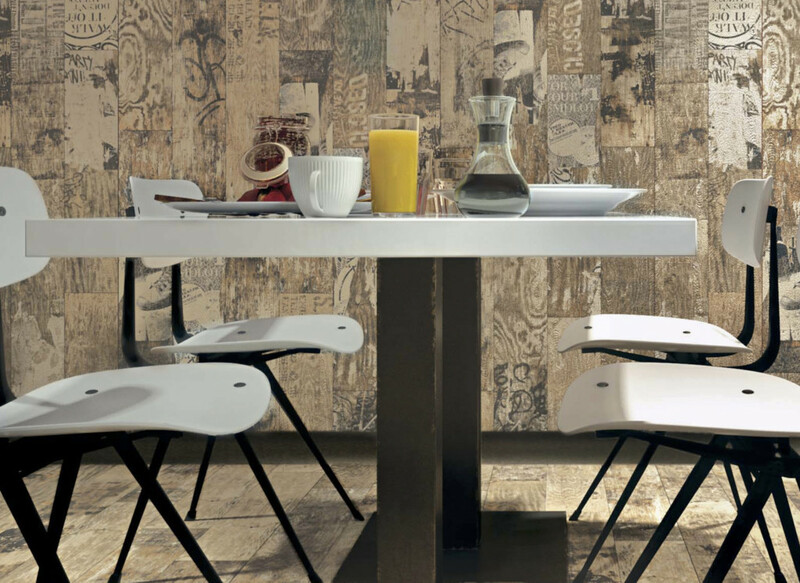 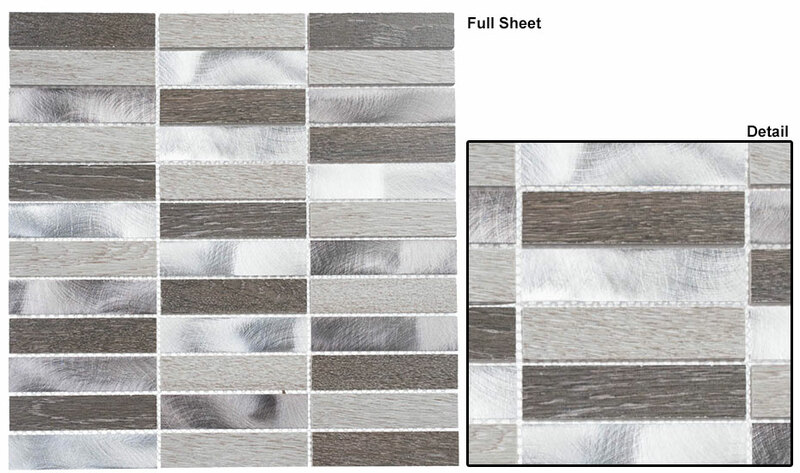 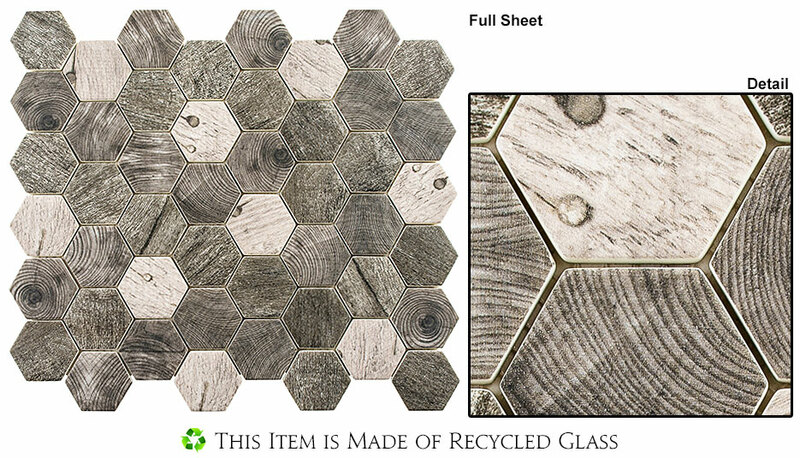 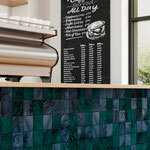 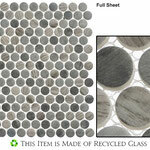 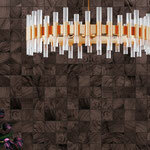 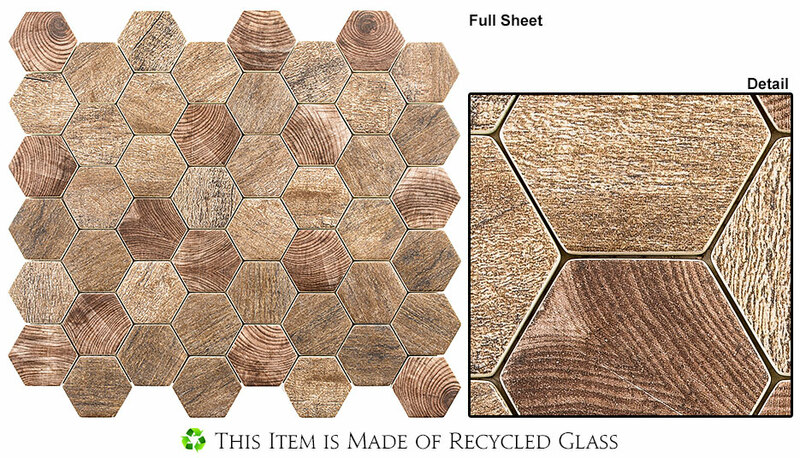 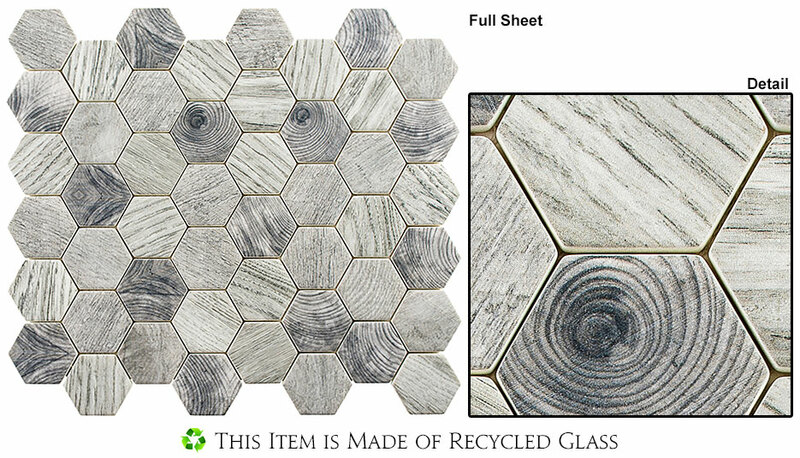 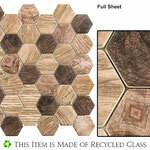 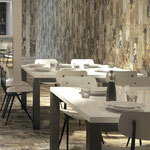 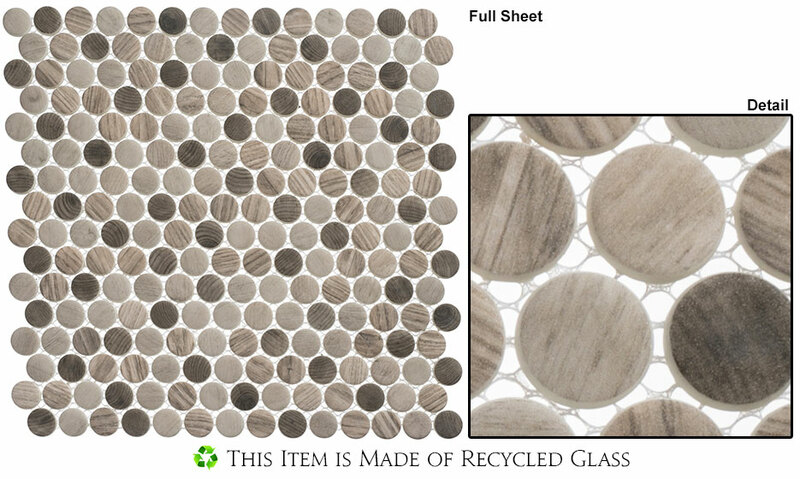 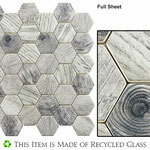 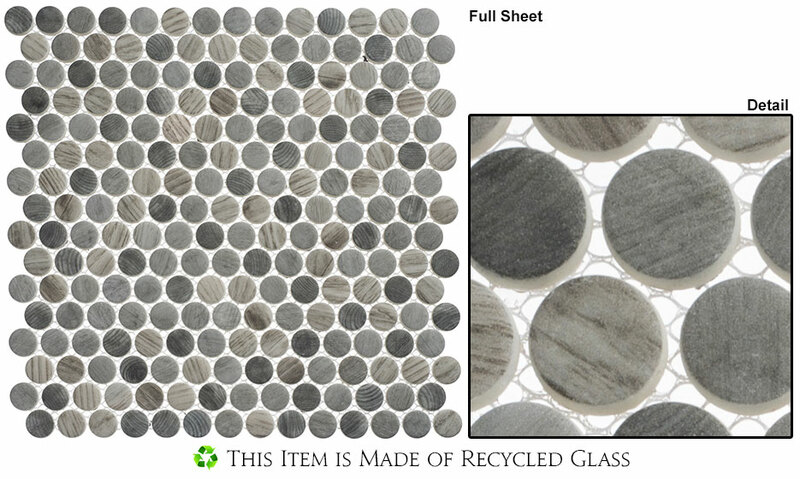 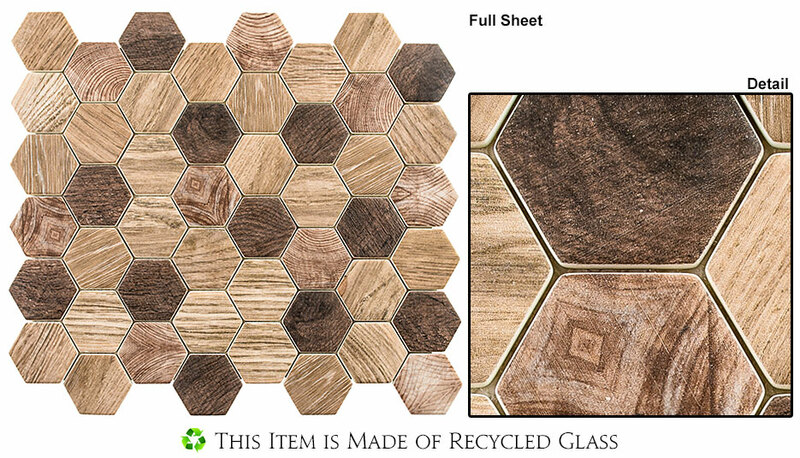 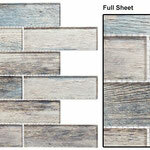 A blend of clear cast glass and opaque recycled glass, these mosaics have the rough look of distressed painted wood. 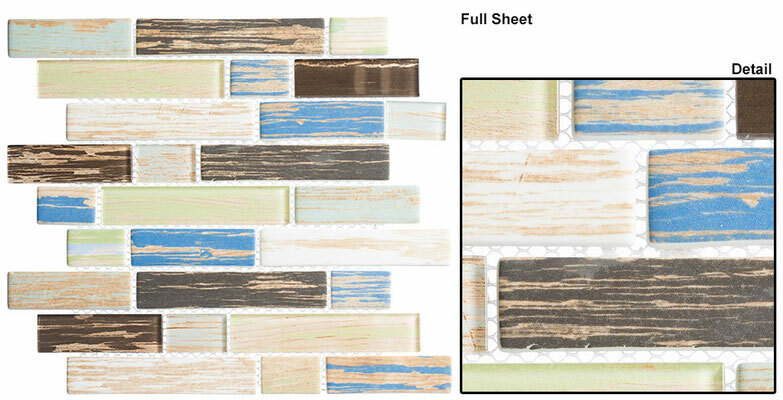 Create a bold statement and cover your fireplace, or add a striking accent stripe to your shower or backsplash. 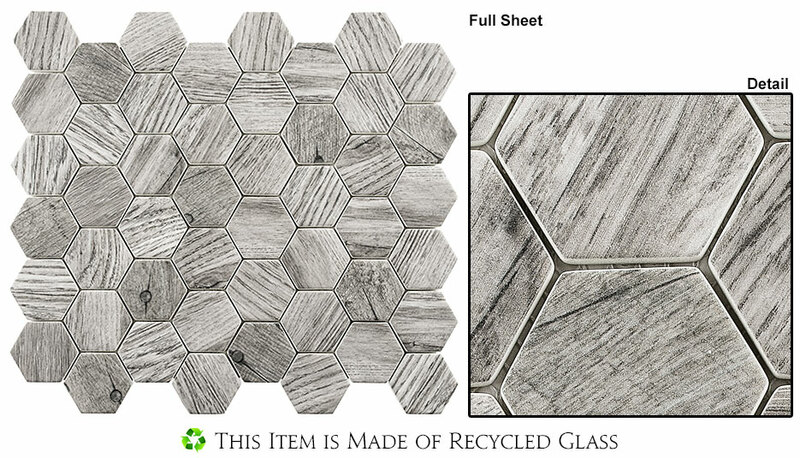 Most glass can't be used on floors, but this recycled glass is cast at such high temperatures that it's tough enough for floor traffic with a level of detail fit for a stunning backsplash. 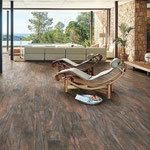 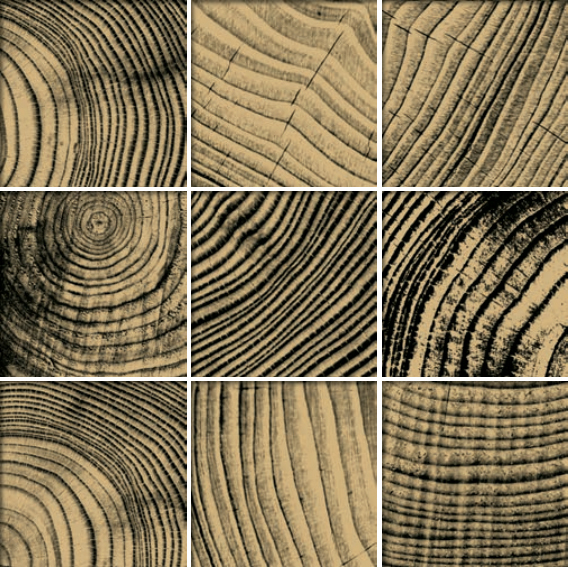 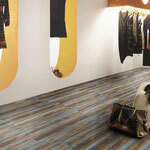 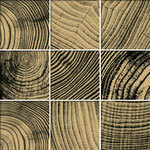 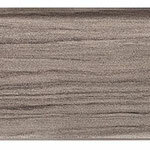 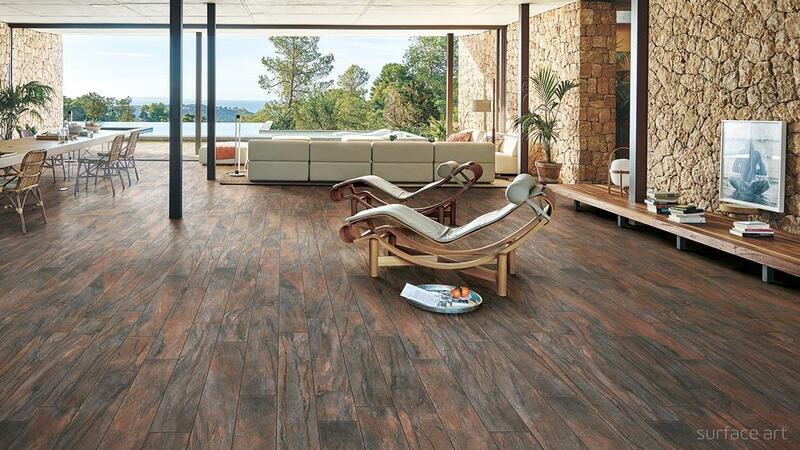 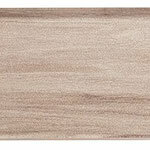 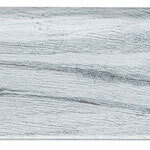 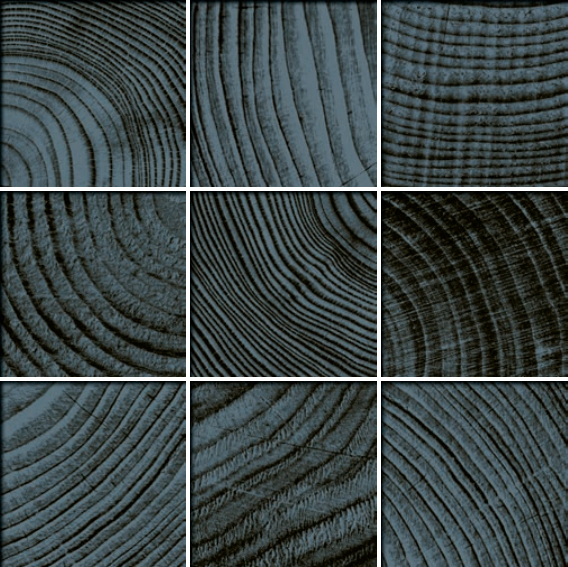 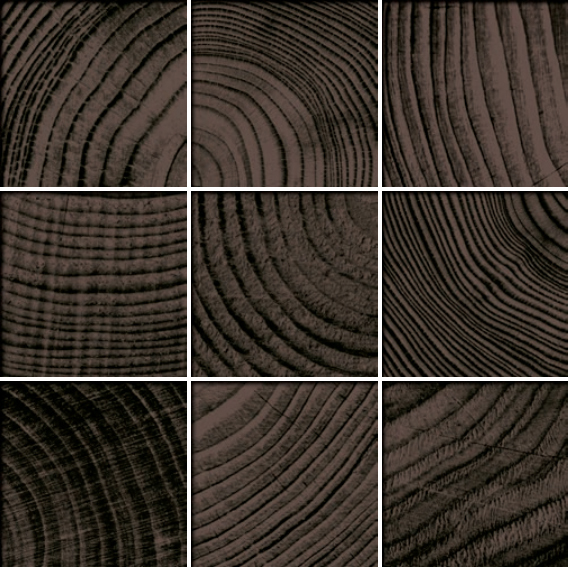 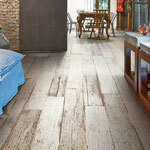 Heavy wood grain and a variety of colors fit contemporary, rustic, or modern homes. 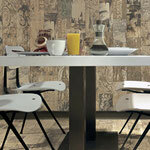 Blending wood and metal creates an intriguing multimedia look that is both freshly modern and timeless. 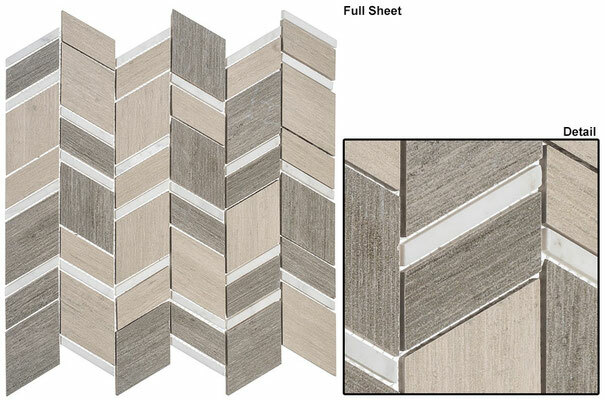 Choose from a clean stacked set pattern or a dynamic random linear design. 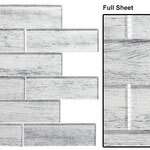 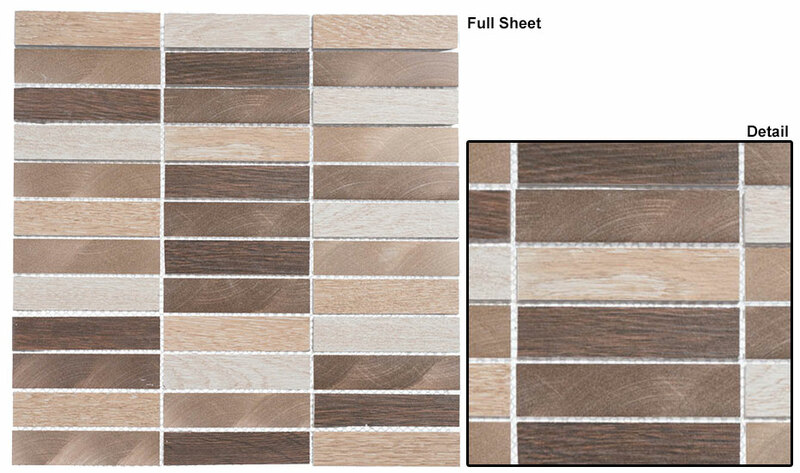 Simple and clean, this glass with a wood design is available as 3x14 mini-planks or 2x6 mosaics set in a classic brick pattern. 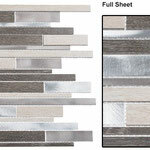 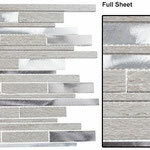 A low maintenance backsplash, a striking accent for a shower, and a great way to bring light into your tile design. 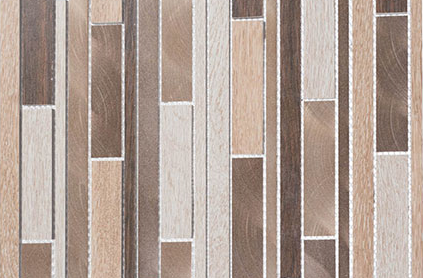 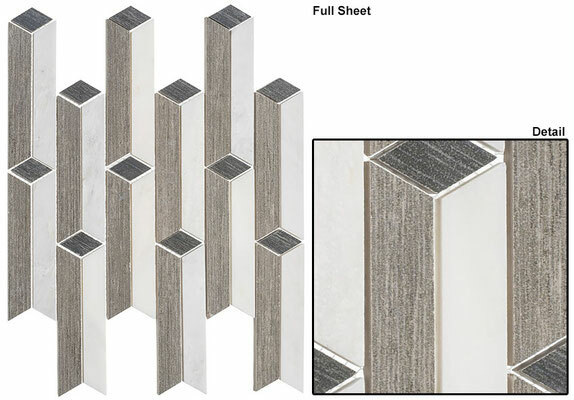 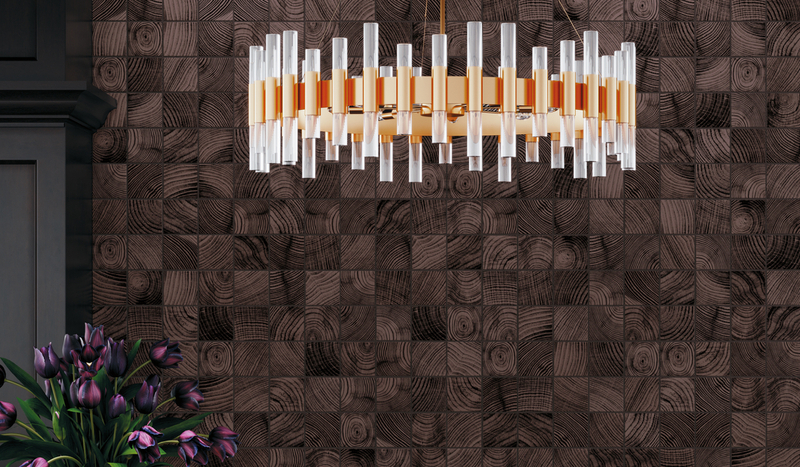 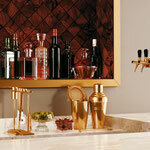 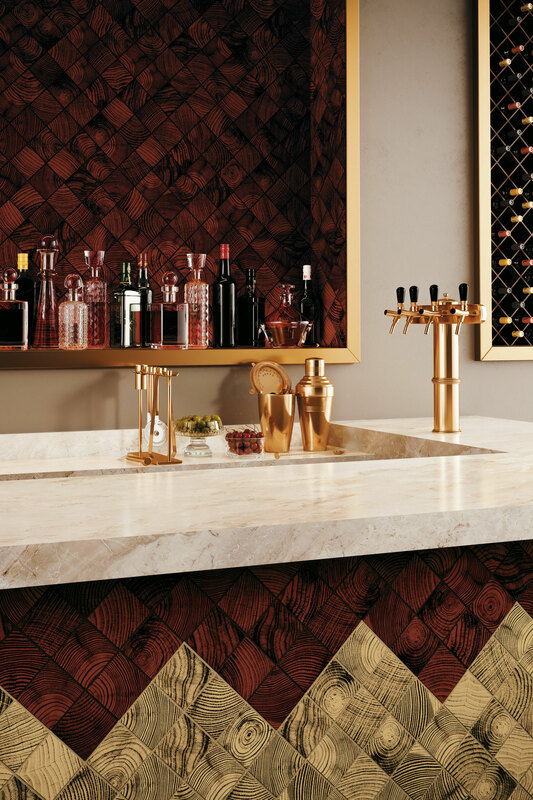 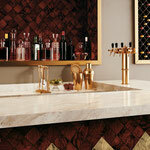 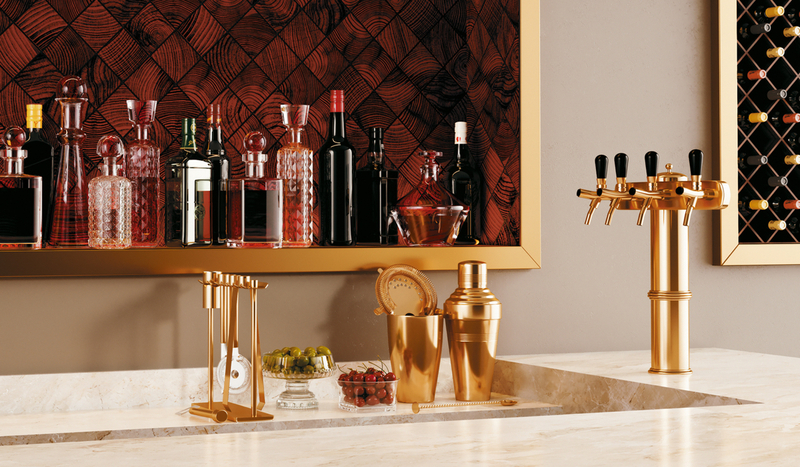 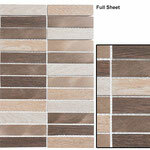 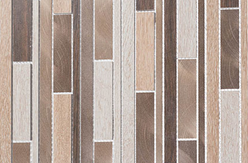 These mosaics blend precise waterjet-cut marble and porcelain wood for a chic, intricate design.